DEDRAFT are a young architectural and interiors studio based in North London. Founded in 2010 by practice director Grant Straghan we approach each project with a vision for imaginative yet functional design. Our strong focus is not only to design – but to build, bringing projects to fruition addressing issues of the everyday and at every scale. Each project is approached primarily responding to the overarching context, influential aspects of site and the client brief through which the design develops to define spaces, allocate appropriate functions and apply materiality to enrich the architectural experience. Our aim is to produce simple well-crafted spaces manipulating natural light and using materials rich in character to create responsive, functional and timeless spaces in which clients can enjoy both the broader and intimate experience appreciating the route taken and choices made to achieve their aspirations. One of the foremost features of the studio is our desire to build up a close client-architect relationship allowing us to translate and respond architecturally to every aspect of the brief – no matter how complex. Our approach involves collaborations with other designers and consultants which we feel provide an enriched and stimulating design process as well as creating those timeless and responsive pieces of architecture. DEDRAFT have experience in many sectors including residential, both new-build and refurbishment, social housing, interiors, retail, commercial fit-out, and landscape design. Grant studied at Hull School of Architecture completing his diploma in 2003 receiving the ‘Cliff Hansford Award’ for Landscape Architecture in 2000. 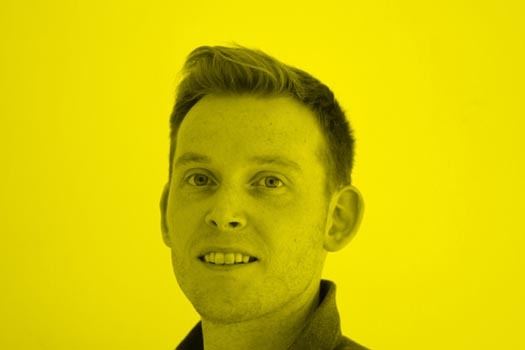 He has worked as a project architect at a number of UK practices including DMFK Architects in London, Studio BAAD in West Yorkshire, MAP Architects in Belfast and the GHM Group in Leeds. Stephanie studied at the Mackintosh School of Architecture where she undertook both her Bachelor of Architecture with Honours and Diploma in Architecture. After graduation she won the first prize in the Dare to Dream design competition for the most sustainable, practical and poetic design entry. Stephanie has previously worked for award-winning practices including Zaha Hadid Architects and TateHindle Architects in London and INmax Ltd in Macau. She speaks Cantonese, English, Mandarin and Japanese. Stephanie joined DEDRAFT in March 2017. Antony studied at the University of Western Australia and McGill University in Canada graduating his Masters of Architecture in 2013 with ‘high distinction’. Since graduating he has worked at a number of award-winning practices in both Australia and the UK, as well as attended international workshops including a summer working on urban renewal with RCR Arquitectes in Spain. In 2017, Antony completed his diploma in Professional Practice and Management at the Bartlett School of Architecture and is currently working on acquiring full registration as an Architect in the UK. Antony joined DEDRAFT in October 2018.